Over the last 40 years our scientists, dermatologists and skin specialists have continued to develop our formulations to give you and your family the moisturisation experience your skin deserves. 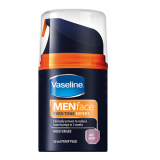 Today, Vaseline products are available in over 111 countries around the world. Its rich heritage, healing qualities, and efficacy have been passed on from generation to generation for over 142 years. 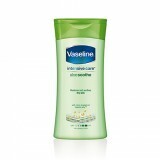 Clinically proven to moisturize deeply to soothe dry skin with the first application and to keep it healed for 3 weeks. Contains aloe, known to calm and soothe dry, irritated skin. Absorbs fast for a non-greasy feel. Best for: dry skin, itchy skin, dryness associated with sunburn. Price: R35.99 Size: 400ml Availability: Retailers and selected pharmacies.